Here is how you can check your schedule for the 3- way conference, seeing how many parents have signed up to meet you. 2. At the right side of the website, please find “Conf. Schedule” under the “Curriculum/Planning” section. 3. It will open your 3-way conference schedule in a PDF file. 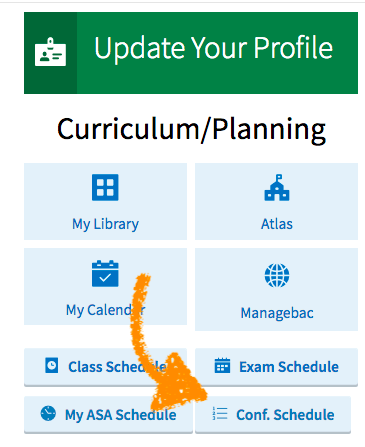 You can save your schedule as a PDF file using “Print to PDF” button at the top right corner. Hello. Attached are the Strategy Team minutes from January 28. If you have any questions please see me or another Strategy Team member. There is still time to sign up on Veracross. Boys will start this afternoon. Girls will start after the CNY Break. Boys, meet on the field at 4.15pm this afternoon.